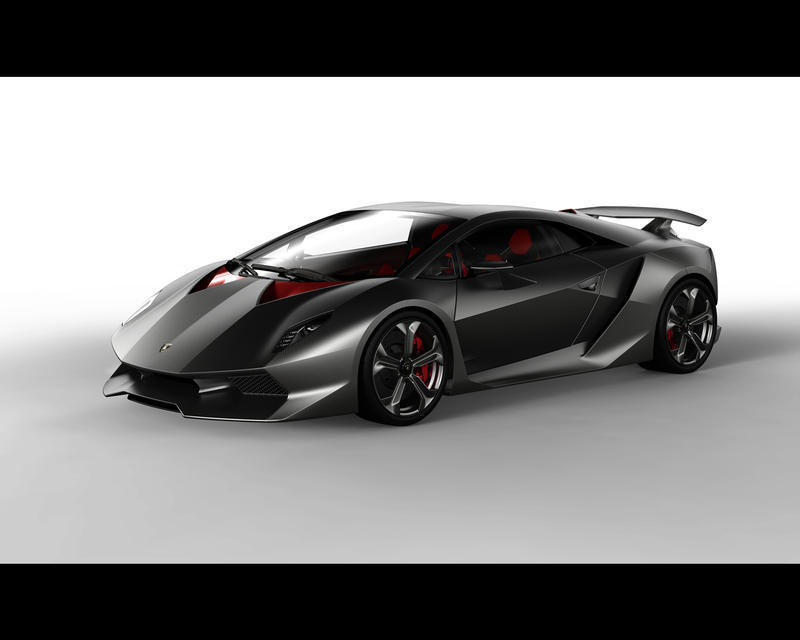 The Lamborghini Sesto Elemento has an output of 570 hp, a power-to-weight ratio of only 1.75 kilograms per hp and a 0 to 100 km/h (0-62 mph) acceleration of only 2.5 seconds. 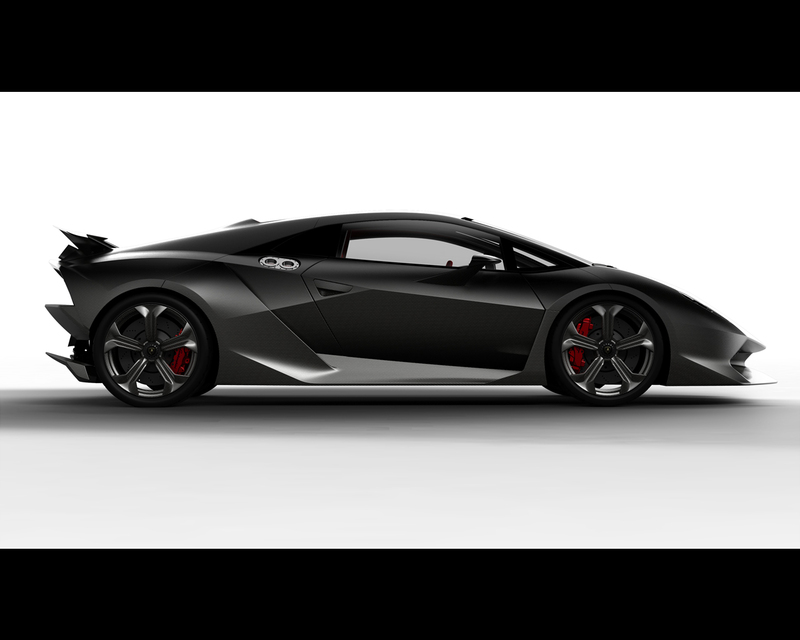 At the same time, fuel consumption also drops because of the lightweight thanks to advanced carbon-fiber technology: The Lamborghini Sesto Elemento has an overall curb weight of just 999 kilograms (2,202 lb) – including V10 power unit and permanent all-wheel drive. A major strength of carbon-fiber technology is that complex structures can be integrated into one single component. This improves quality and reduces weight. On the Lamborghini Sesto Elemento, the front and rear of the body-shell are each manufactured in a single piece. Engineers call this “cofango”, created by combining the Italian word “cofano” (hood) with “parafango” (fender). The large components are attached by using easily removable fasteners, in order to have fast component disassembly. The “cofango” is also reminiscent of an icon from the brand’s history: in 1966, the legendary Lamborghini Miura was unique as a mid-engine super sports car – and its rear cover, too, could be opened in one piece. 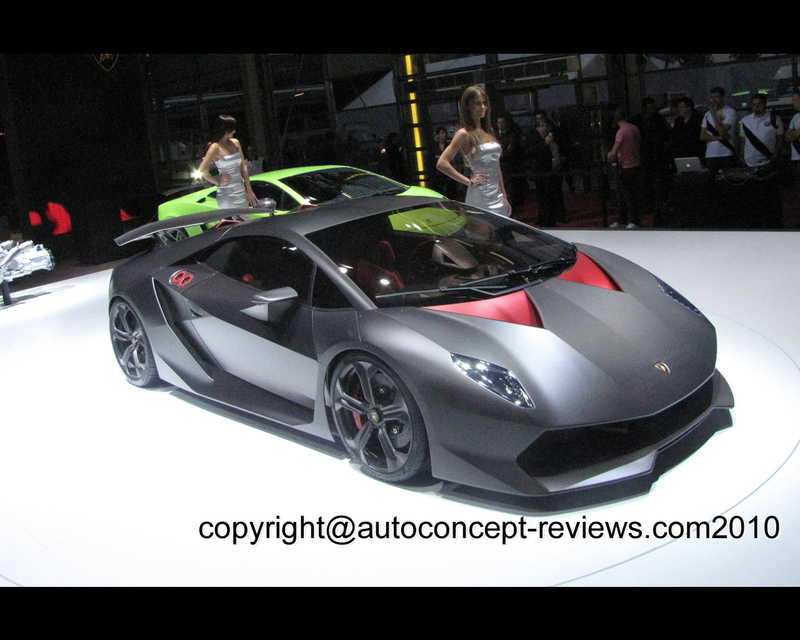 The Sesto Elemento’s rear overhang is extremely short defined by optimum aerodynamics. The generously dimensioned spoiler is perfectly matched to the diffuser and a further air deflector in the center, thus guaranteeing maximum downforce for extreme cornering speeds and excellent high-speed directional stability. The Pyrosic tailpipes are directed upwards through the engine cover panel, which also incorporates ten hexagonal openings and two air scoops behind the roof for delivering fresh air to the V10 power plant. 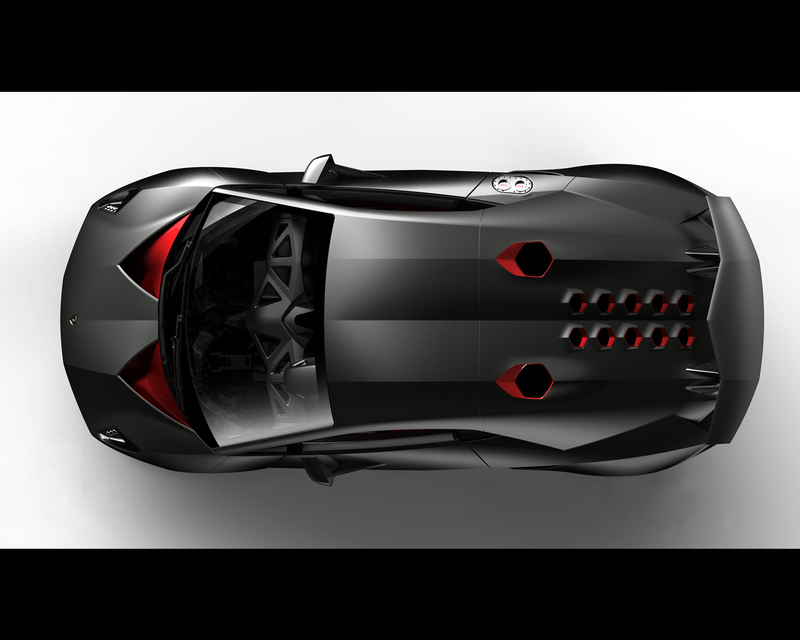 In the Sesto Elemento, the V10 unit is mounted longitudinally behind the driver. The 570 hp output equals 419 kW, all of which is available at 8,000 rpm and a torque curve peaking at 540 Nm and 6,500 rpm. The V10 offers 5,204 cm3 of displacement, delivering a specific output of 80.5 kW (109.6 hp) per liter of displacement. The Sesto Elemento is equipped with the e.gear transmission, controlled in race car fashion via shift paddles mounted on the steering wheel. The automated system with electronic management shifts smoothly through its six gears much faster than a human being would be able to.